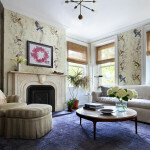 The gorgeous interior of this Cobble Hill townhouse was completed by Blair Harris Interior Design. 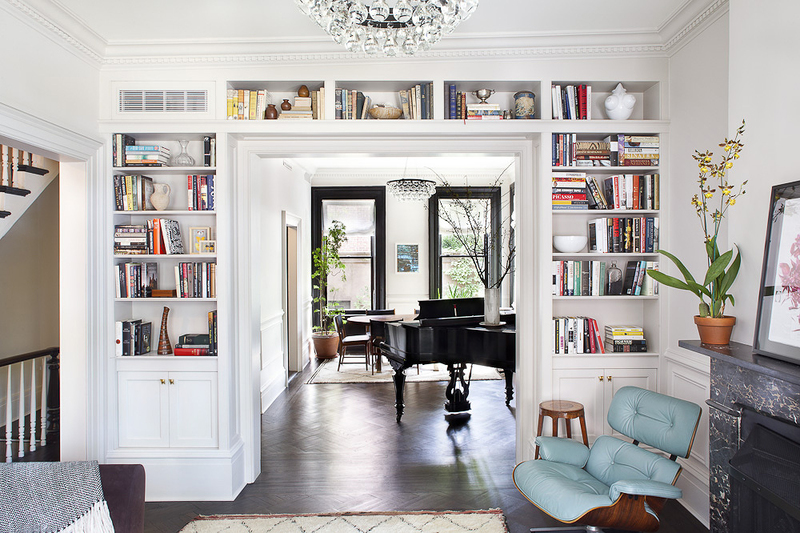 The home is an eclectic yet elegant combination of classic vintage pieces and crisp modern detailing, all of which is a tribute to the hard work of this budding designer. 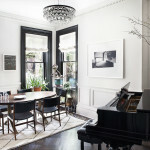 Harris entered the New York design scene in 2005 after receiving her BFA in Art History. 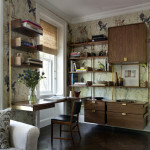 She then spent the next six years honing her skills working at The Jeffrey Design Group before breaking out on her own in the winter of 2011. 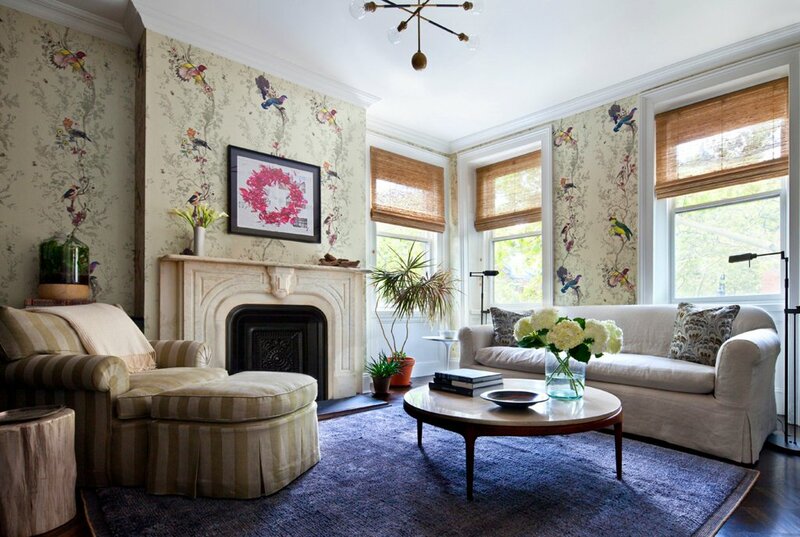 The home’s cozy living room is both inviting and sophisticated. 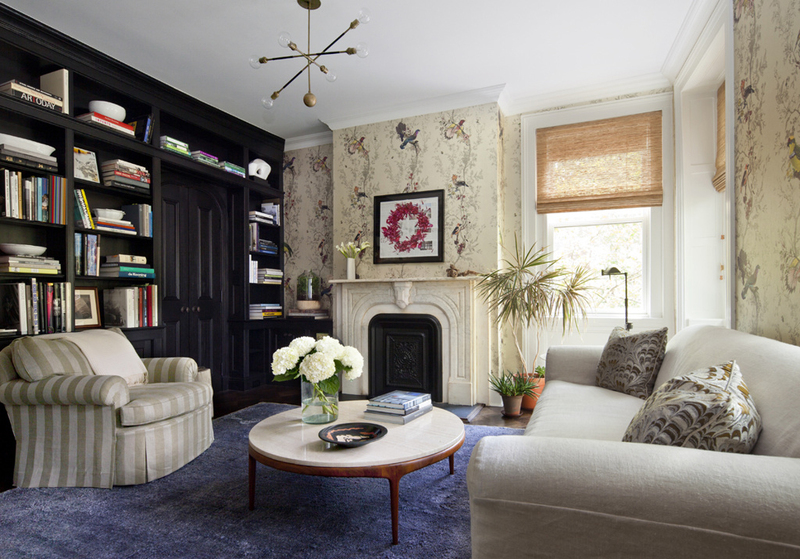 The dark walls and brightly colored rug are the perfect accents for the sand colored furniture and fireplace. 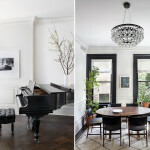 The light-filled dining room features sophisticated dark hardwood floors, white walls, and an elegant crystal chandelier. 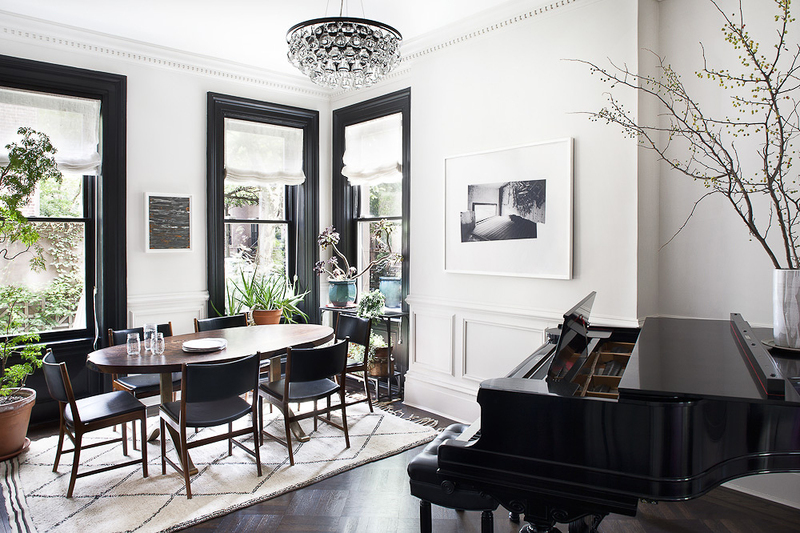 The window frames are tastefully painted black to match the piano and piano stool, and vibrant green plants line the room’s perimeter–both details creating a subtle yet impactful contrast within the room’s limited color scheme. 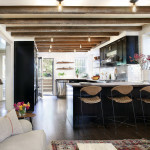 The kitchen features the same neutral color palette as the dining room, but is bolder and warmer in mood and styling. 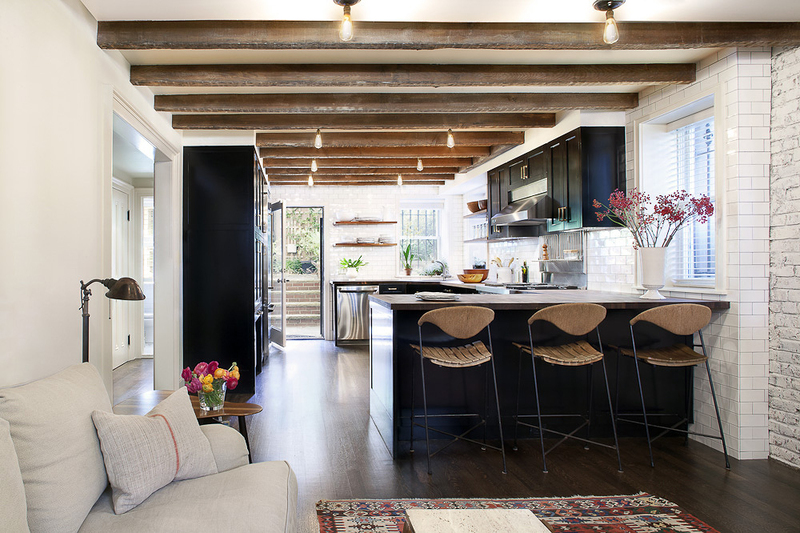 Exposed wood beams line the ceiling, and a patterned rug adorns the sitting room adjacent to the kitchen. 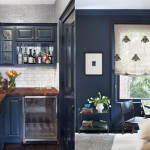 The bar area is painted a vibrant cerulean blue with hardwood flooring and counter tops. 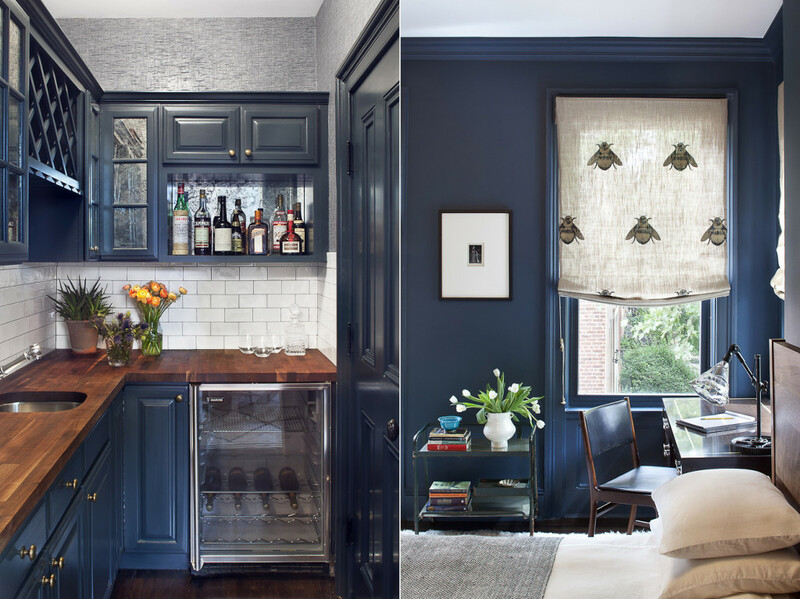 The impeccable taste and attention to detail found in every corner of this Cobble Hill brownstone is worth writing about, but why not see for yourself–check out this project and others from Blair Harris Interior Design on their website.